The Golden Circle is the most popular tourist route in Iceland, covering about 300km looping from Reykjavík into central Iceland and back. This circle visits the Geysir geothermal area, Þingvellir National Park, Gullfoss waterfall and the river Hvítá. Our tailor-made Iceland tours can combine the Golden Circle region with other attractions such as Laugavatn Nature Baths, Secret Lagoon in Flúðir and much more. A favorite stop along the Golden Circle is the highly active Geysir Hot Spring Area with boiling mud pits, exploding geysers and the lively Strokkur which spouts water 30 metres (100 ft) into the air every few minutes. The newly opened Geysir Centre offers exhibits and informative presentations year round. A truly unique experience offered is Geysir or ‘hot spring bread’, where visitors assist a chef to boil eggs outside in a hot spring, and dig up rye bread that has been ‘baking’ underground for 24 hours. The great Geysir is not the only geyser in the Geysir hot spring area. 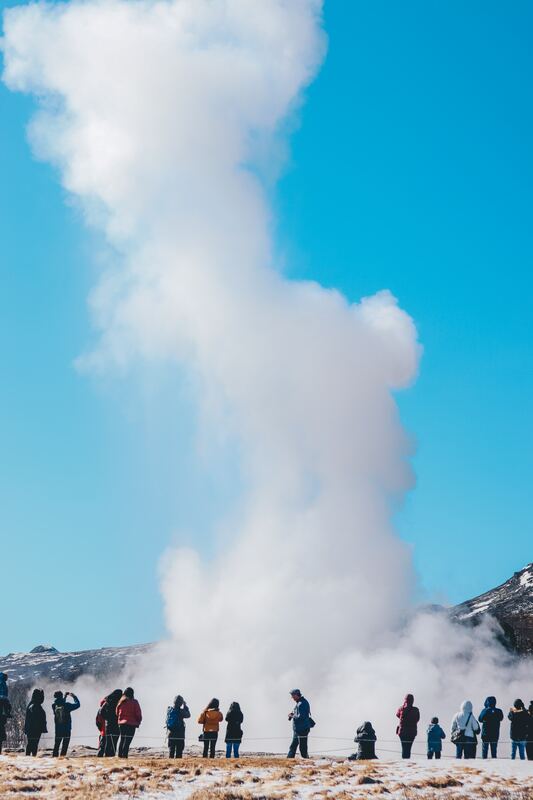 The most active geyser in the area is called Strokkur. It sprouts hot water as high as 30 meters into the air every few minutes or so. Þingvellir is a favourite stop among travellers along the Golden Circle route. It has been a National Park in Iceland since 1930 and was named a World Heritage site by UNESCO in 2004. When Viking settlers arrived in the 10th century it was the site they chose as the meeting place of Althingi, the world’s oldest parliament. Aside from its historic interest, Þingvellir holds a special appeal for nature lovers. It is the visible site of the mid-Atlantic Ridge where the North American and Eurasian tectonic plates meet. The plates are being pulled apart at a rate of 2 centimetres (nearly an inch) per year, creating the Þingvellir Rift Valley. There is much to explore in the park including the 20 metre (66 ft) Oxara waterfall, and the Nikulasargja Gorge, better known as Peningagja (Money Gorge) because it is customary to toss coins (and sometimes credit cards!) into the icy-cold water and make a wish. The view from the top of Almannagja, where the visitor center is located, is stunning. 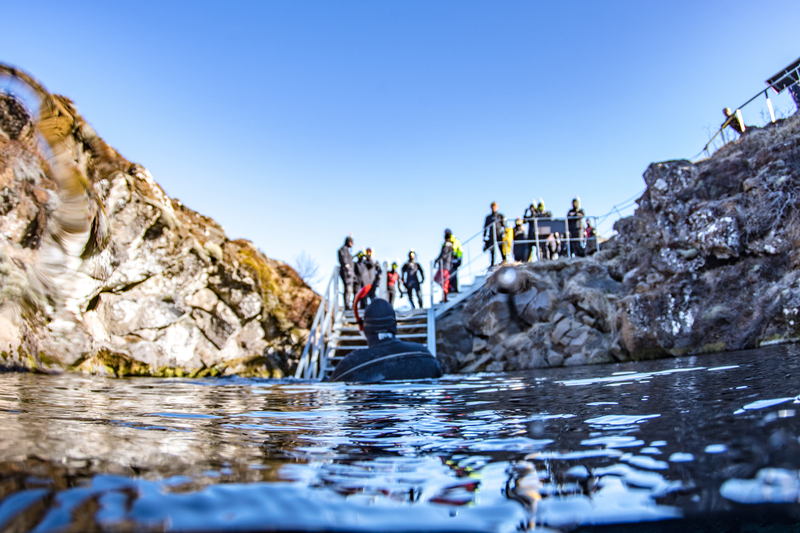 We offer snorkelling and diving at the Silfra Gorge, an extraordinary dive site where you are literally swimming between continents in clear, glacial water. 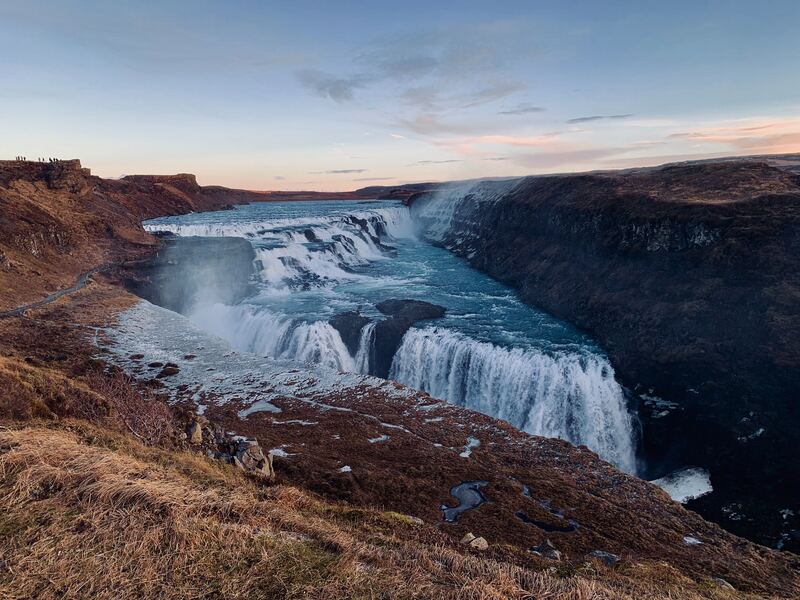 Finally, Gullfoss waterfall is another tourist attraction in Iceland and also part of the Golden Circle. The waterfall is by many considered one of the most beautiful waterfall in Iceland. You can find the waterfall in the upper part of the Hvita river. The water cascades down in two stages, one 11 m (36 ft) high, and the other 21 m (69 ft), into the 2,5 km (1.6 mi) long crevasse below. This crevasse was created at the end of the Ice Age by catastrophic flood waves and is lengthened by 25 cm (9.8 in) a year by the constant erosion from the water.